Bringing super lightweight protection and comfort so there's no compromise on creativity, arm yourself with the Nike Mercurial Flylite Shin Guards in Bright Crimson, University Red and White. 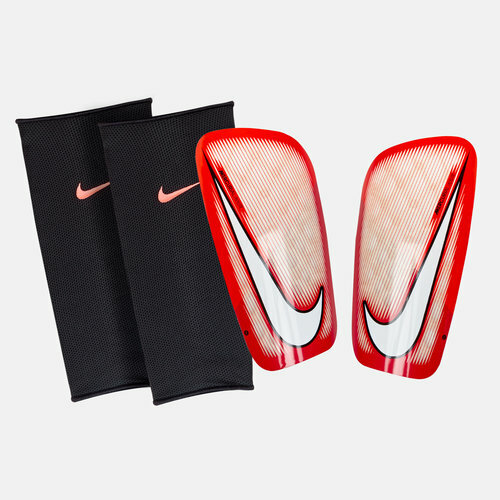 These Nike slip in shin pads don't just have a stylish Mercurial inspired look, they also offer solid protection and abrasion resistance thanks to a durable shell with dense EVA foam backing to diffuse impacts. Moulded waffle designed foam assists in dispersing energy from crunching tackles. 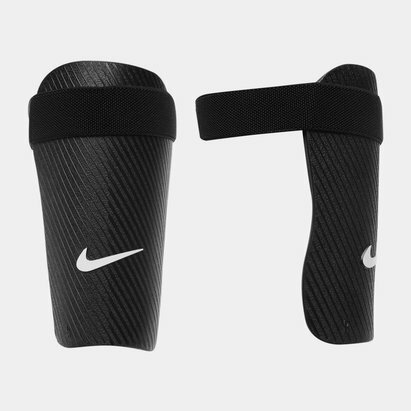 The anatomical and flexible design of these Nike shin guards fits the contours of your leg for targeted cushioning and a comfortable fit. A seamless and breathable compression sleeve features Dri-Fit technology to help keep you feeling drier and more refreshed by wicking sweat away from the skin whilst you wear them. Offering solid protection, but not at the cost of comfort or flexibility, equip the Nike Mercurial Flylite Shin Guards and take on any dangerous tackle in confidence.